Employees often feel as though they must look the other way when they observe fraudulent activities, unsafe practices, or other unlawful and unethical practices in the workplace. However, you should be aware that not only is whistleblowing protected under the law, whistleblowers stand to enjoy financial damages as a result of a successful investigation. 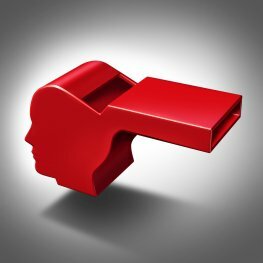 If you suspect your employer is engaging in unlawful activities, you can consult an employment lawyer serving San Jose for more information about whistleblowing. Your labor attorney can explain OSHA’s Whistleblower Protection Program. It ensures that your employer cannot legally take retaliatory actions against you, such as firing, blacklisting, disciplining, or demoting you. 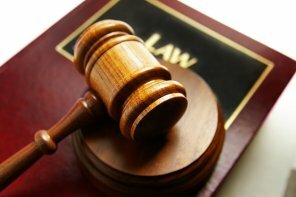 Failure to hire or rehire, adverse reassignment, pay or hour reduction, denial of benefits, threats, and intimidation are also unlawful activities under these statutes. If you believe your employer has taken retaliatory action, your San Jose employment lawyer can help you file a complaint. In an ideal world, all companies and other organizations would conduct business while upholding the strictest standards of ethics and obeying the letter of the law. Unfortunately, private businesses and even government agencies sometimes stray from this path. Sometimes, it may take a whistleblower to uncover the truth and correct any wrongs. Whistleblowing in San Jose and throughout the country tends to have a negative connotation. However, experts on employment law have found that most whistleblowers are actually dedicated workers, not disgruntled employees interested only in personal gain. The typical whistleblower is an individual who is keenly interested in the success of the company. He or she works hard to contribute to the business and sees him-or herself as having a personal stake in the company’s future. When that individual uncovers misdoings by a co-worker, supervisor, or an entire department, he or she may choose to expose these problems in an attempt to improve the company. Another reason why a person might become a whistleblower is to protect consumers and the public in general. Often, the misdeeds of businesses and organizations lead to some sort of risk for consumers. For example, a whistleblower might work for a medical device manufacturing company that has designed a new metal-on-metal hip implant. The person might uncover clinical evidence that this particular design has a high rate of early failure and can significantly increase the risk of heavy metal toxicity in patients. However, this individual realized that this clinical evidence was never shown to the FDA or to the public. The person might decide to become a whistleblower because he or she is concerned for the welfare of patients who use that particular hip implant. One of the perks of being a whistleblower is that if any monetary damages are recovered as a result, the whistleblower is entitled to a portion of them. This may be one reason why whistleblowers have such a poor reputation. However, it’s worth noting that most whistleblowers first report problems to a supervisor or other person at their company. Then, if a cover-up is attempted or the problem is otherwise left unfixed, the person might turn to a labor law attorney for help. CA labor code section 1102.5 prohibits retaliation against whistleblowers. This may afford protection to those who do come forward.